held annually on July 17 in Kyoto. 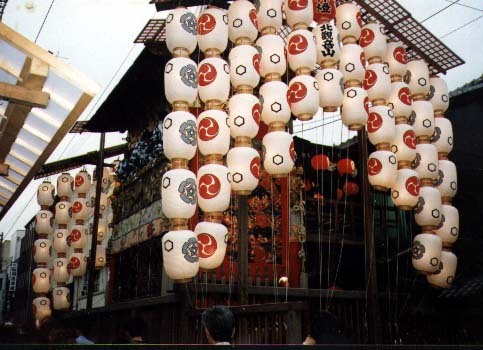 Gion, Kyoto, summer, fun, evening, floats, festival, lanterns, yukata, geta, red, blue, white, paper, wood, cloth, hang. Festivals, colors, clothing, materials, seasons.